Oliver Hardy and Stan Laurel in "The Big Noise" (1944). The biggest fans of Stan Laurel and Oliver Hardy – the comedians who starred in silent movies 90 years ago – will come here from around the world July 12-15 for the 21st international convention of the Sons of the Desert. The Laurel & Hardy appreciation society is called the "Sons of the Desert" after their 1933 film in which they trick their wives into thinking they're taking a medical cruise, when actually they're going to a convention. 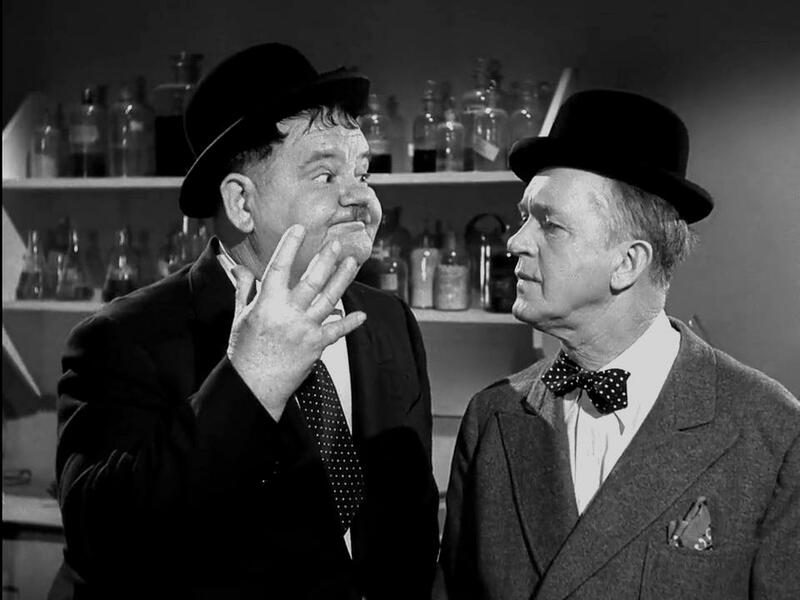 Stan Laurel and Oliver Hardy made films together from 1926 to 1946. As Oliver Hardy would say to his buddy Stan Laurel: "Oh, it's another fine mess you've gotten me into!" You may see some folks dressed like Laurel and Hardy in town the week of July 9. Some of the activities at the Hilton Cincinnati Netherland Plaza Hotel include a costume banquet, trivia contest, a screening room for their silent films, and a Laurel and Hardy themed riverboat ride, says Gene Sorkin of Clifton, co-chair of the Cincinnati convention committee. Registration has closed. Here's a link to my "Around Cincinnati" interview with Sorkin about the convention. Laurel and Hardy first performed together on film in 1926, and made 106 movies together the next 20 years. Laurel (1890-1965), the childish skinny guy with the rubbery face who cried when facing a problem, was given a special Academy Award in 1960 for "his creative pioneering in the field of cinema comedy." Hardy (1892-1957) was the heavyset bully often exasperated by Laurel's literal interpretation of instructions. He liked to twiddle with his tie when embarrassed, and always managed to step in a puddle. Often he'd ask Stan, "Why don't you do something to HELP me?!?" 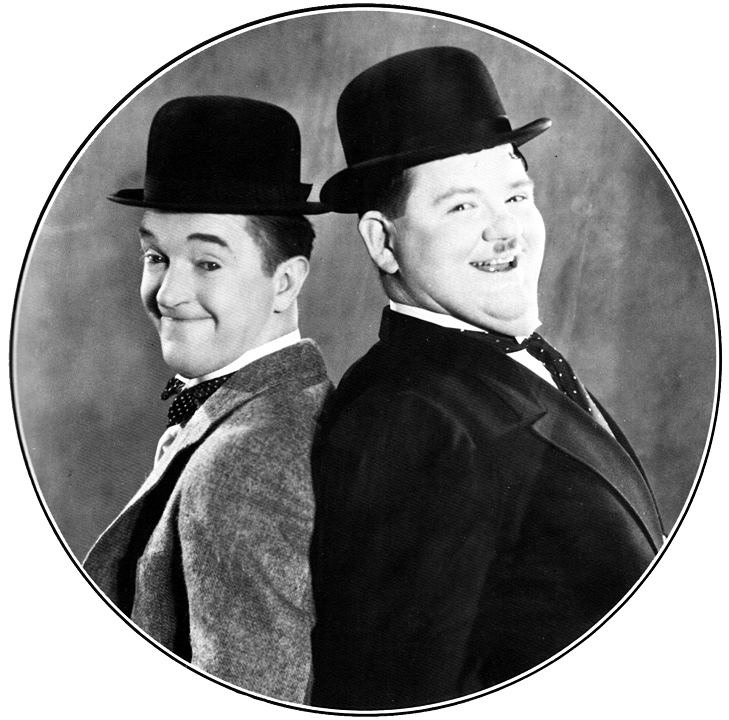 Each local chapter (or "tent") of the Sons of the Desert Laurel and Hardy Appreciation Society is named after one of their movies. Cincinnati's chapter, formed in 2008, is called "The Chimp Tent," for the 1932 film in which Hardy gets custody of a circus chimpanzee named Ethel. 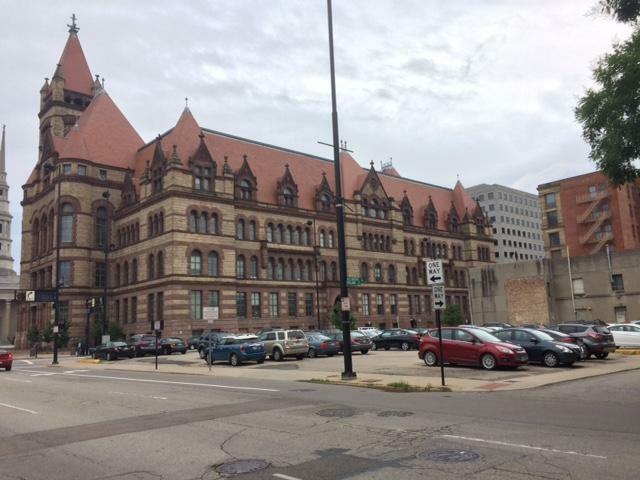 Here's a link to more information about the Cincinnati group.